This demands a rewatch of the Roman Polanski classic; reading Ira Levin’s book, I couldn’t pick out many differences, besides Polanski’s decision not to show the baby referenced in the title, yet here I am calling one a classic and about to call the other basically an all-around disappointment. Could Polanski’s direction, the cast’s performances, etc. and that one crucial choice I mentioned above be all that’s behind this stark contrast in perceived quality, or have my tastes changed to such a degree that I’d be as unimpressed with the film now as I was the book? I hardly feel I can review the book until I’ve rewatched the film, that way I don’t come off looking like a two-faced idiot, since I fear the very things I’d downplay about the book are the same things I’d play up about the film. It’s been a while since I watched Rosemary’s Baby that first and only time, so who knows how accurate my recollection is? I’ll just say this: like Peter Jackson did with The Fellowship of the Ring, Roman Polanski took what I feel to be rather silly source material and forced me to take it seriously. 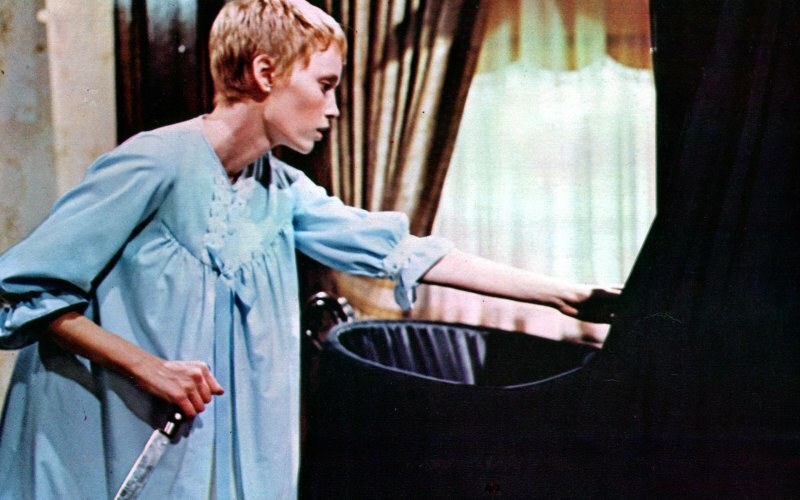 Rosemary’s Baby is a novel that could only have been controversial all those decades ago when it was first published. And that’s as much as I can say without first revisiting the film. This entry was posted in 2 stars – an ok book and tagged Ira Levin, Rosemary's Baby, Travis_J_Smith. Bookmark the permalink.